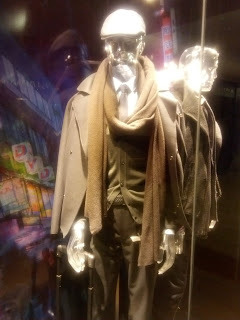 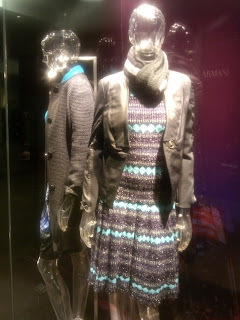 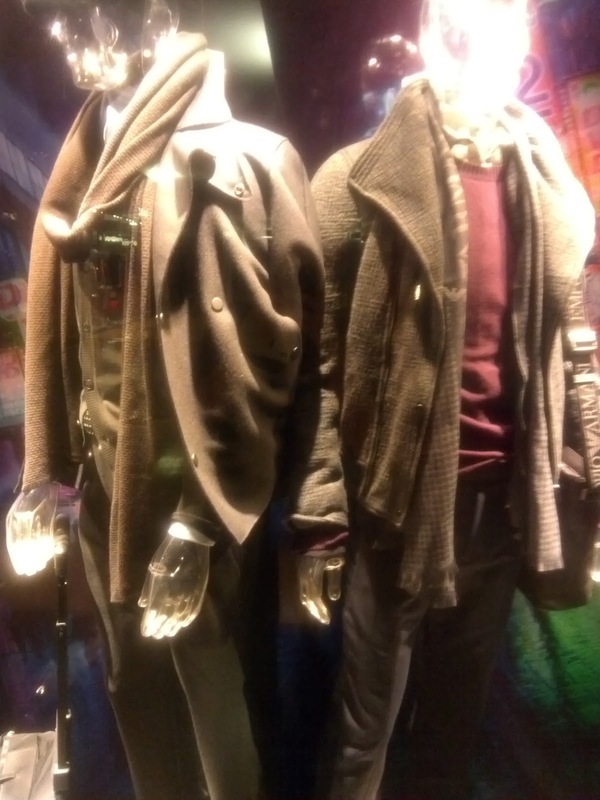 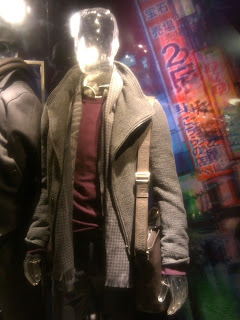 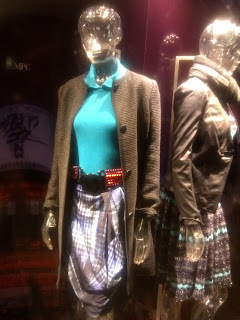 The window display of Emporio Armani at Plaza Indonesia is now installed with mannequins wearing the Fall/Winter 2012 collection of this Italian brand. The styling is straight from the runway look that it might look inappropriate to the Indonesian weather and season with layers of jacket or blazer, wools and other warmer materials, plus thick shawls and tights. Hope no passers-by will copy this look straight ahead.